Collaborators: Long Xiang, Han Xiaoye, Song Benming, Li Hongli, Zhang Wenjuan, Men Fanxin, Meng Xiangyun, Li Guo, Zhang Li, Giuan Miaomiao, Xu Bo, Yuan Enkai, He Chong, Chen Feng, Lin Hong. 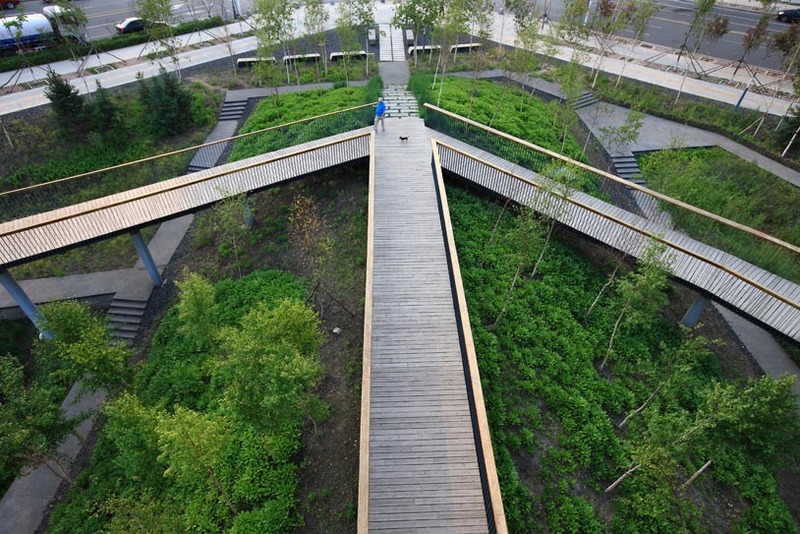 Location: Qunli New District, Haerbin City, Heilongjiang Province, China, 2009-2010. Promoters: The Municipal Government of Haerbin City. 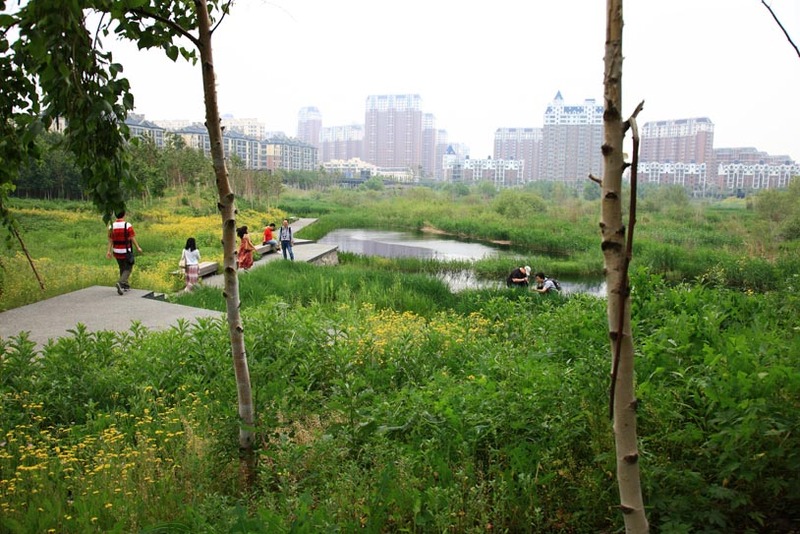 This project presents a stormwater park that acts as a green sponge, cleansing and storing urban stormwater, which can be integrated with other ecosystem services including the protection of native habitats, aquifer recharge, recreational use and aesthetic experience, thus fostering urban development. 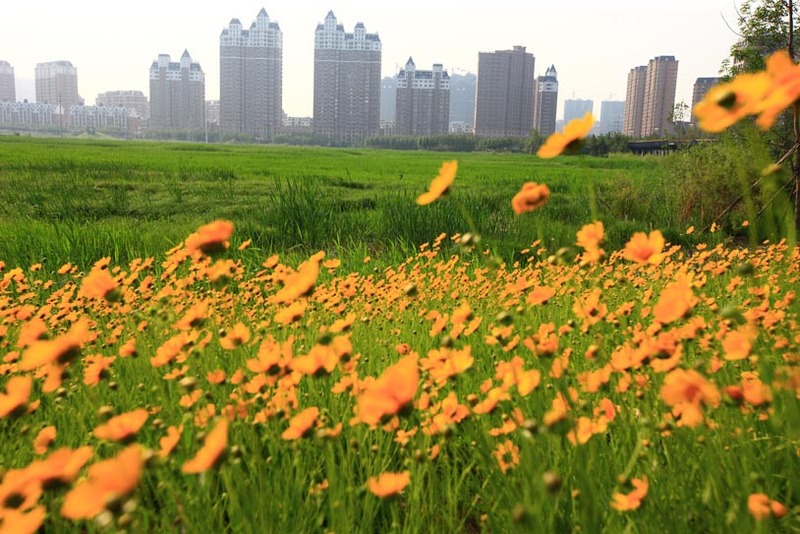 Beginning in 2006 a new urban district, Qunli New Town, was planned for the eastern outskirts of Haerbin in northern China. 32 million square meters of building floor area will be built over the next 13 to 15 years. More than one third of a million people are expected to live there. Floods and waterlogging have occurred frequently in the past, while at the same time the ground water table continues to drop due to its overuse. 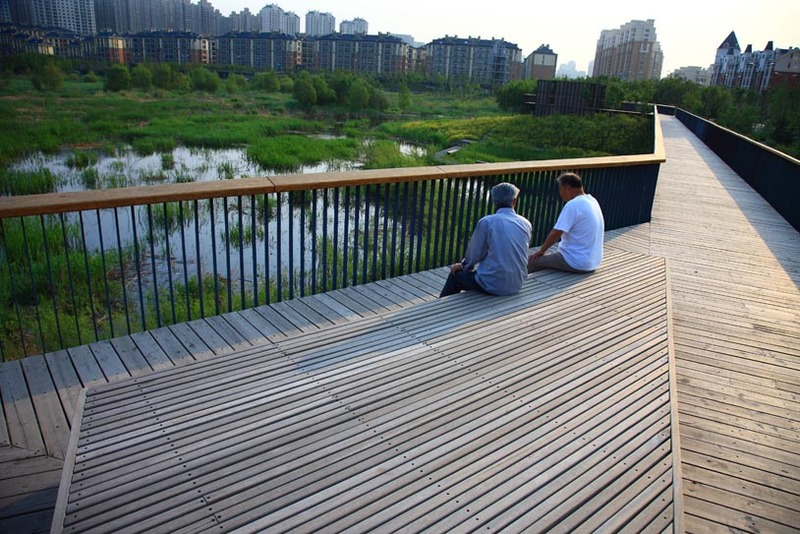 The project proposes creating a 34ha park in the middle of this new town, which is listed as a protected regional wetland. The site is surrounded on four sides by roads and dense development. As such, the wetland had been severed from its water sources and was under threat. 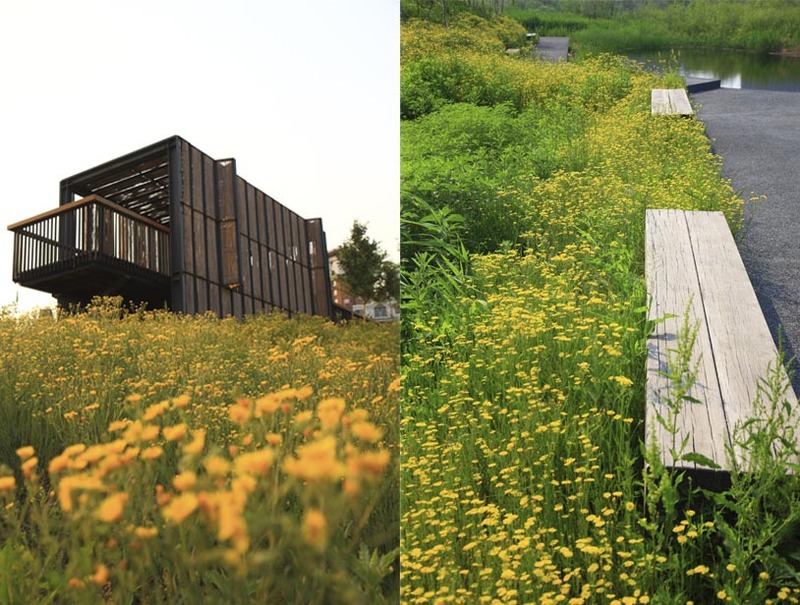 The proposal included the transformation of the area into an urban stormwater park that will provide services to multiple ecosystems. Several design strategies and elements were employed. 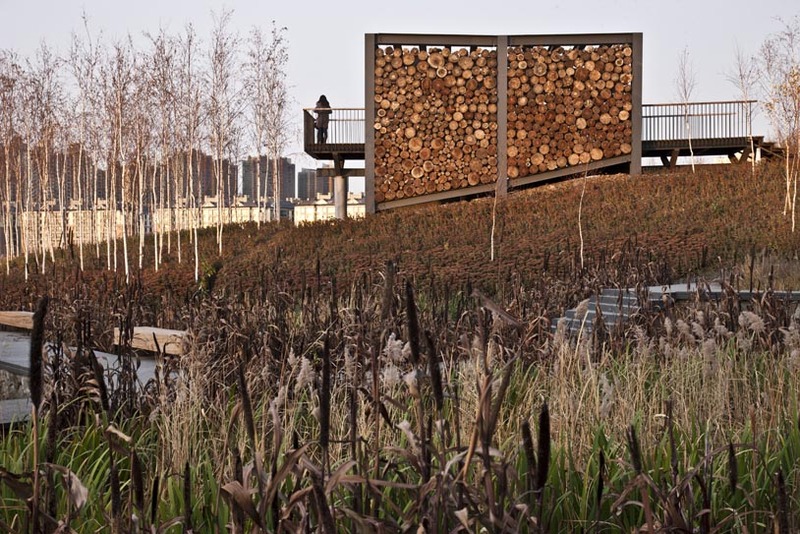 On the one hand, the central part of the existing wetland is left alone to allow the natural habitat to continue evolving. On the other hand, minimum earthworks – a cut-and-fill strategy to create an outer ring of mounds and ponds – are used to transform the site. 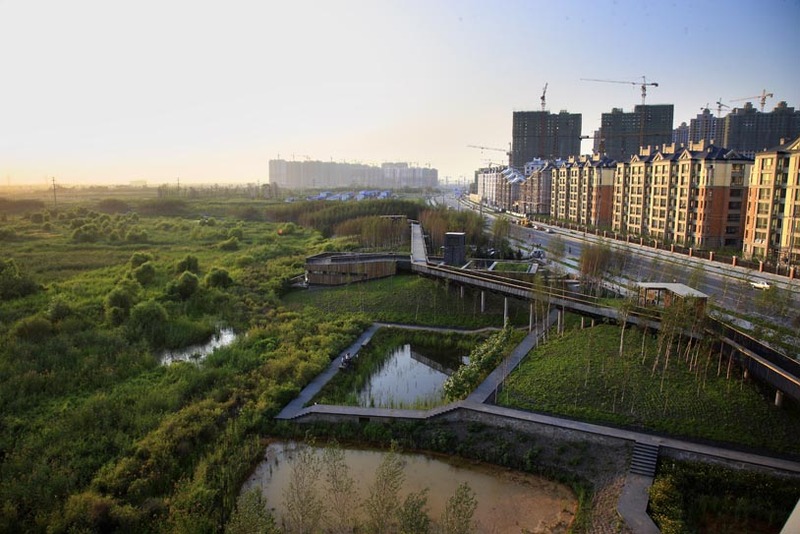 Earth is excavated and used to build up a necklace of ponds and mounds around the perimeter of the park to act as a stormwater filtrating and cleansing buffer zone for the core wetland and a transition between nature and the city. 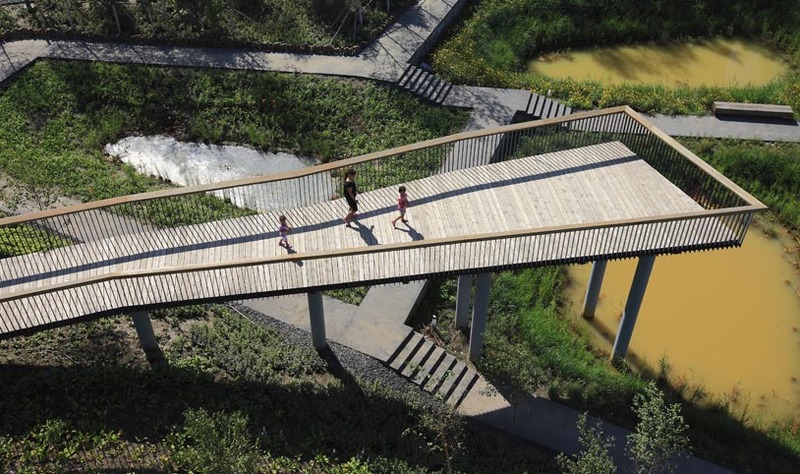 Finally, a network of paths and skywalks links the ring of ponds and mounds, allowing visitors to engage in a diverse walking experience. 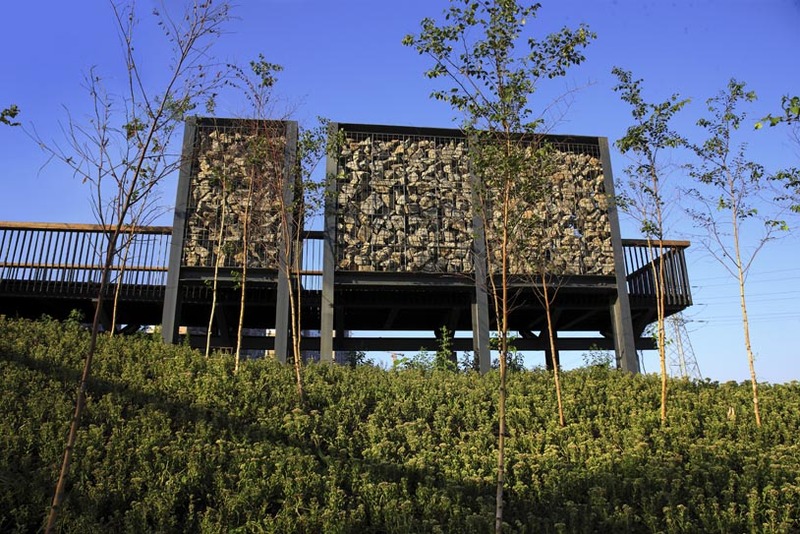 Platforms, pavilions and viewing towers are set on the mounds and connected by the skywalk, allowing visitors to take in distant views and observe the nature in the center of the park.